Yes-yes! Less than one month and I am back on the road! This time I’m heading east. First Australia, most probably New Zealand, and then Indonesia, Malaysia and Thailand. Later maybe Japan and China. Who knows. Departure: 21th October. Estimated time of return to Europe: late May 2016. It is going to be more than 6 months away from home (whatever that means for me during last few yeas:) and I’ll be separated from my precious miniatures collection for quite a some time. 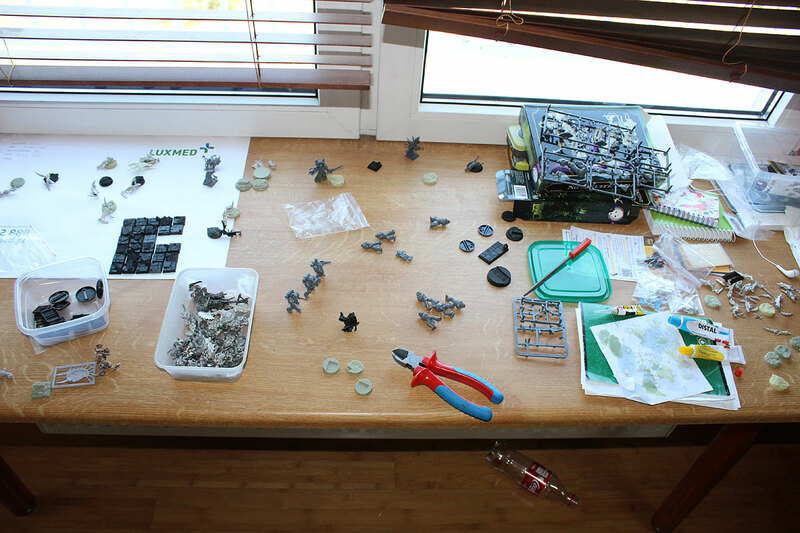 While I can live without playing the games (barely, but I can:) I can’t imagine my life without painting miniatures. If it would be the choice to travel and not to paint at all for 6 months, probably I’d stay in Poland. But lucky for me nobody is forcing me to give it all up. I can take models, brushes and paints with me! Yay! January 2013 – May 2013 – Sri Lanka, Malaysia, Thailand – I took only handful of miniatures, hoping I could handle without painting for some time. I couldn’t. Lesson learned. October 2013 – May 2014 – Thailand, Malaysia, Indonesia, Philippines. This time I took with me more – at least 20 miniatures. Still not enough, so I needed to buy few minis in Bangkok. The number of miniatures to paint was still not satisfying. And I was out of paints too! Third time lucky hopefully. October 2014 – May 2015. Mexico, Nicaragua, Costa Rica, El Salvador and Belize. I thought I had enough models to paint. Wow! 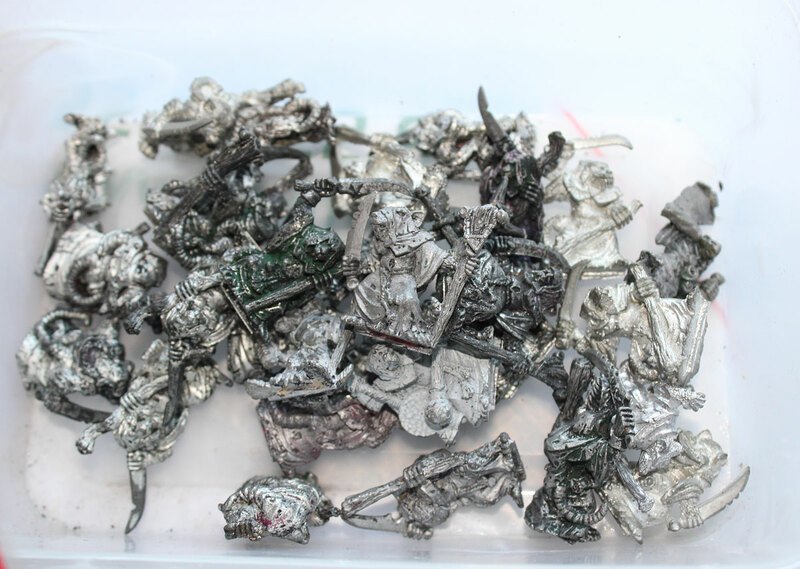 It turned out – I picked up the tempo – and I have painted more miniatures than I predicted. And I was out of paints and brushes were worn off heavily. I needed to buy some more in Mexico City. Uff! That was hard time, when it comes to painting minis on the road. And finally time for my 4th trip. This time I need to be super prepared. With brushes, paints and models for future painting. Hopefully I’ll arrange everything properly. Miniatures and my travelling painting workstation. First, I decided to arrange my miniatures collection that I will deal with in next months. I thought long. I calculated how many miniatures I’m able to finish during next half year. Few sleepless night, dozens of hours of brainstorming with myself and I’ve managed to prepare the list. 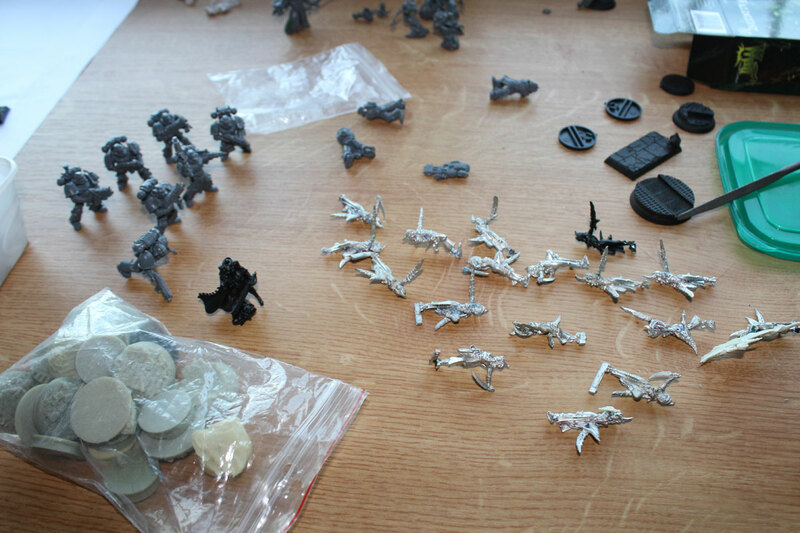 The list includes miniatures from several games. Warhammer FB, Warhammer 40k, Malifaux, Infinity and Wolsung. When I was preparing the list, the most important factor for me was diversity. I did not want to be bored with painting for example only Space Marines for next 6 months. I prefer to paint something different each week and have this breeze of something completely opposite and new. 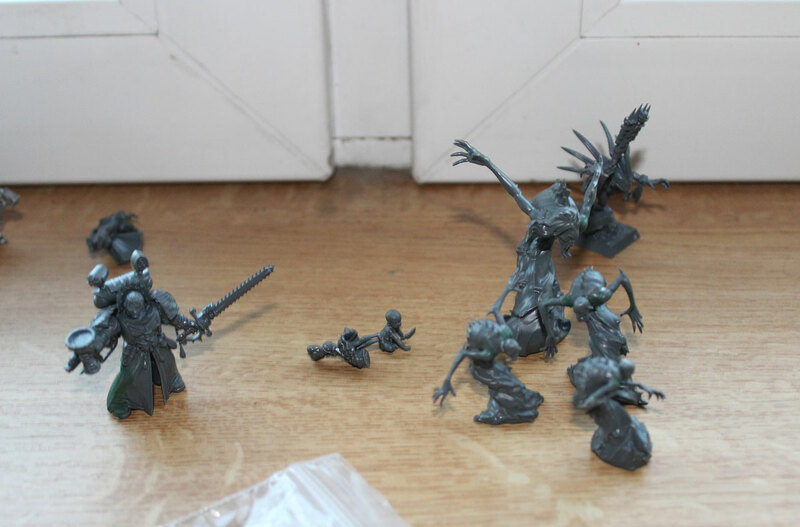 Slaanesh Daemonettes and Space Marines plus resin bases. Arrangement in action! As you can see, quite a lot! I made an assumption that I’ll be able to paint one character model or 5 regiment model within one week. This I find reasonable. I could prepare more models, but first – I know exactly how it is when I travel. Sometimes I do not have the time for hobby. I’m becoming serious busy tourist or quite opposite – I have to work like crazy to earn money to be able to become that busy tourist:). And second thing – I have limited space in my luggage. To be honest I’m little worried the list is too long and I’ll not fit all models, bases, paints to my backpack. We will see few days before departure. Fingers crossed. So, my estimation of painting pace is reasonable – I think. And if I’m wrong, I can always buy some more. There are plenty of stores were I’m going – Australia, New Zealand or Thailand. I spent three days preparing the miniatures from the list. 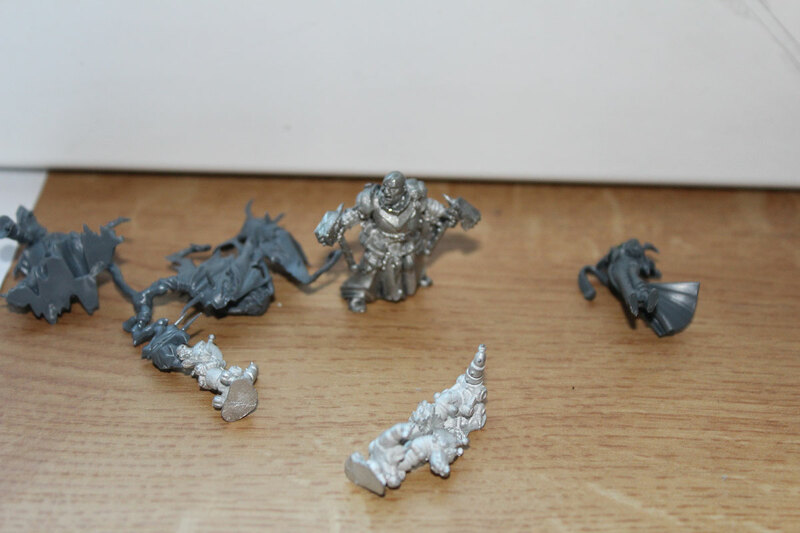 I was cutting them out the sprues. Filing them off and priming them black. I spent hours with pinning and glueing them (still not finished – I need to base them properly). During magnetising Space Marines, I’ve noticed I don’t have proper magnets. Mine were little bit too large for SM arms. I’ve ordered new batch of smaller magnets, but I’m still waiting… So after three days, still not finish, but I’m very close, Maybe just few more hours and everything will be done and ready to pack. Game of Travel will begin shortly! Other thing – bases. During my last big journey across Mexico and Central America, I was not basing my miniatures. I was leaving them with the most simple base. Right now I decided for different approach. 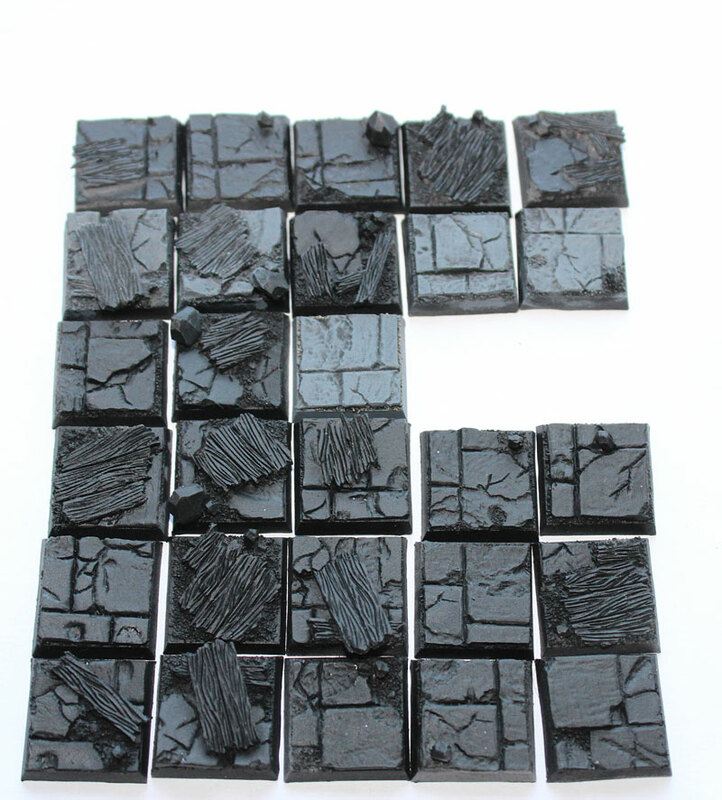 As I have lots of resin bases in my home, this time I prepared bases for all my miniatures – so as soon as they are finished I could put them on some fine looking base and they will be ready 100%. When I’ll finally be ready with totally everything – I’ll skip to another issue – packing these damn things in my backpack. I’ll need nice hard box, lots of foam and tissue paper with a little bit of hope, that it want be broken during transport. 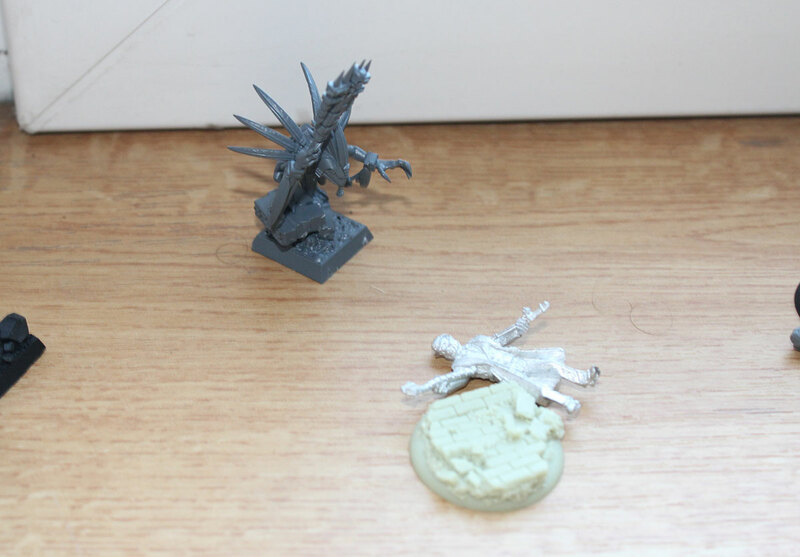 Generally I avoided to choose small resin fragile miniatures and large models. These ones are the first to damage. Only plastic and metal. We will see about that. So, yeah. 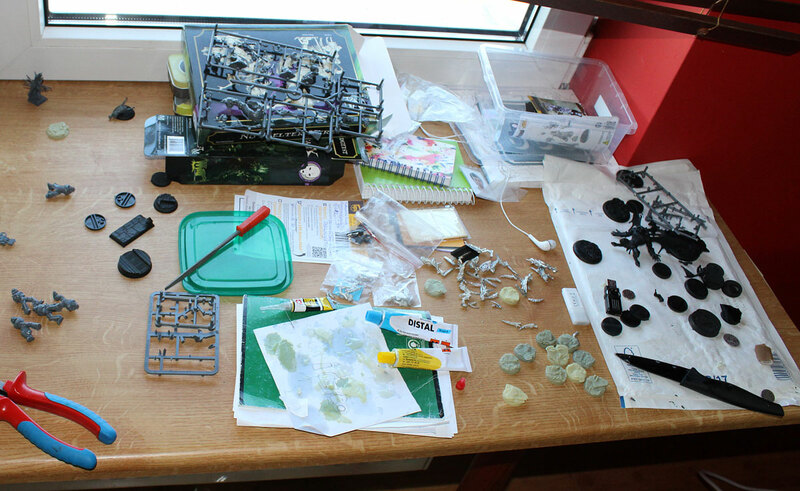 That’s my list of models – in next post from the series – I’ll present my paint station. Brushes, paints and ideas for setting it up in quick manner in every hotel around the world. It’s going to be my upgraded version of workstation. The previous one I described in this post -when I was in Mexico – there will be definitely some changes, so please follow my blog to see how it work for me. I should post it in next week or two. …and now, back to painting! Cool – looking forward to hearing how it all goes! If you come to Melbourne and would like to try a game of KoW or do some painting, just let me know! I know. my supplies problems will start after few months, but there are some hobby stores in major cities in Asia. time will tell. thanks for invite – I never played KoW before, so if somehow my route will take me to Melbourne, I’ll let you know – and I’ll be happy to give it a try. for sure I’m going to Brisbane and Sydney – but I don’t have everything planned yet.